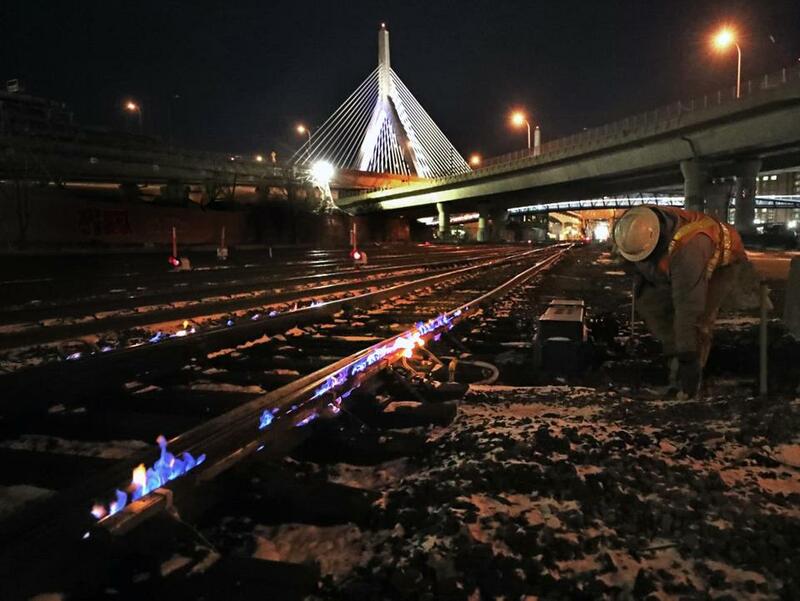 Keolis employee Mark Britton, roadmaster, adjusted the gas for the switch heaters on the tracks outside North Station in Boston around 4 a.m. Thursday. 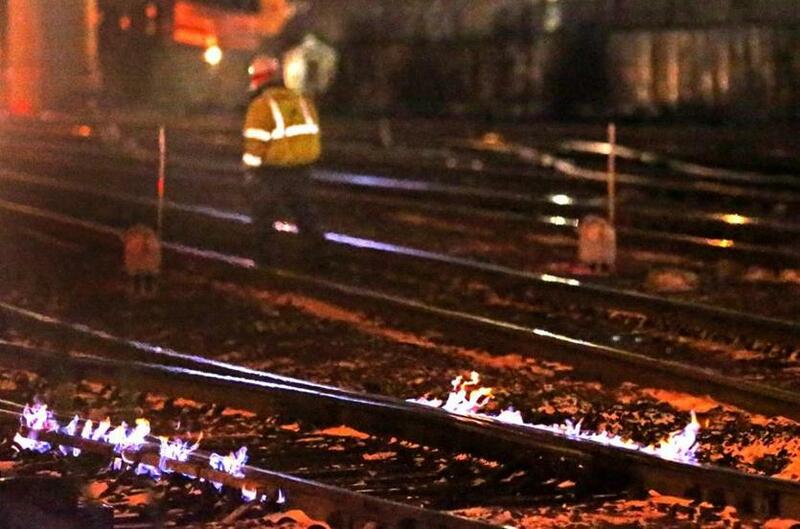 Do your commuter rail tracks look like the inside of a Weber grill? Have no fear. When temperatures plummet, Keolis, which operates the commuter rail for the MBTA, can turn on nearly 400 switch heaters across its system to make sure train switches work and trains run on time, said Justin Thompson, a Keolis spokesman. Some of the heaters were turned on early Thursday as windchills hit 15 below zero in Boston. 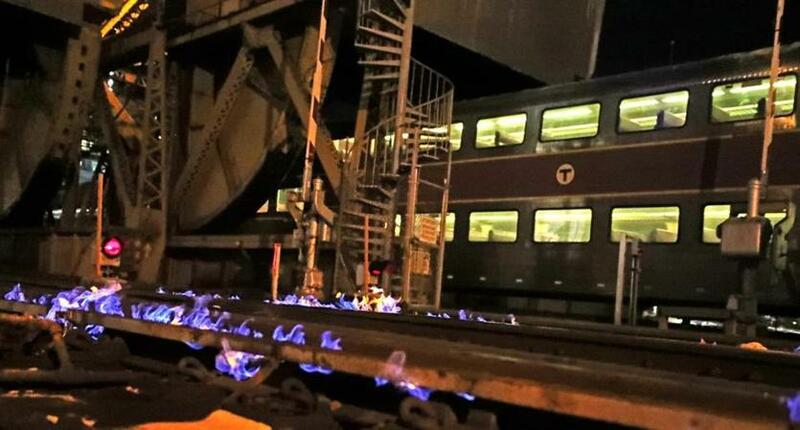 Pictures captured by a Globe photographer outside North Station at 4 a.m. showed blue flames licking over the tracks. The pictures were striking, though not as crazy as pictures of Chicago track workers setting fire to tracks during the polar cold that city has been experiencing. It’s not unusual to turn them on during extreme winter conditions, Thompson said. The small flames from the heaters don’t cause delays in train service because trains ride right over them, Thompson said. It was about 5 degrees at 4 a.m. behind North Station. The heaters are located at key points on the commuter tracks.. They clear and prevent accumulation of, ice and snow, Thompson said. Keolis also utilizes hot air switch heaters, which blow hot air onto a switch, Thompson said. Switch heaters are sometimes manned by a person to ensure safety and control, Thompson said. The switches are a part of the more than $100 million that Governor Charlie Baker’s administration has put toward winter resiliency following the winter of 2015, when Boston accumulated a record 108.6 inches of snowfall. Officials say the trains can roll right over the small flames.